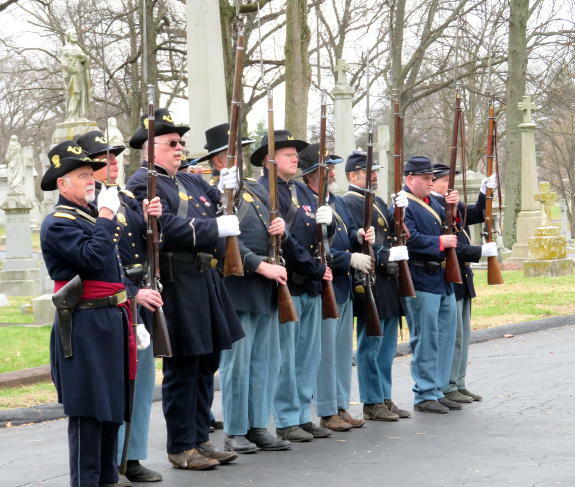 St. Louis, MO: Sherman Day Ceremony at Calvary Cemetery « The Turner Brigade--Missouri Volunteers, U.S. 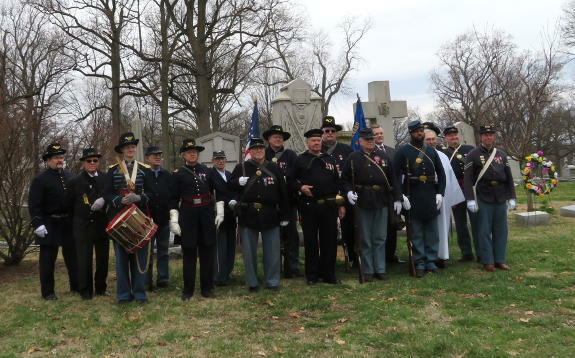 Brigade members joined with the U. S. Grant Camp #68, Sons of Union Veterans of the Civil War, in their Sherman Day Ceremony on Sunday, March 25, 2018, at the Sherman gravesite in Calvary Cemetery in north St. Louis, MO. The tribute began with a parade from the main gate area to the Sherman family gravesite, followed by a brief address by Bob Amsler, Grant Camp Commander, on the life of the General, and a military firing salute. 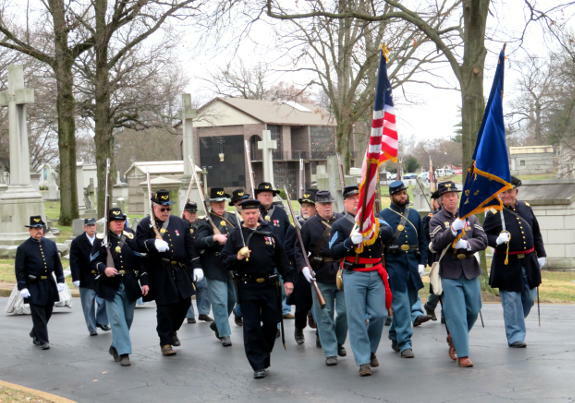 An SVR color guard leads the procession to Sherman’s gravesite during the ceremony at Calvary Cemetery in St. Louis, MO, March 25, 2018. Capt. Greg Zelinske leads the honor guard in a salute during the posting of the colors at the Sherman gravesite in Calvary Cemetery in St. Louis, MO, March 25, 2018. Grant Camp Commander Bob Amsler addresses the audience during the Sherman ceremony at Calvary Cemetery in St. Louis, MO, March 25, 2018. 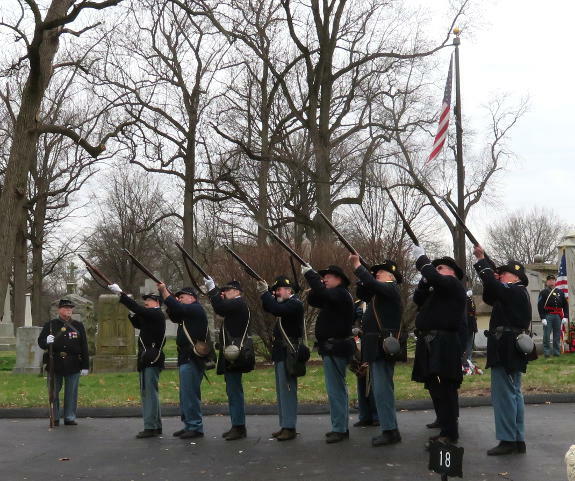 The honor guard fires a salute the Sherman ceremony at Calvary Cemetery in St. Louis, MO, March 25, 2018. Ceremony participants pose in front of the Sherman family graves at Calvary Cemetery in St. Louis, MO, March 25, 2018.